Every year the Professional Bull Riders come to New York City and thousands of New Yorkers flock to MSG to see them in action. This year the PBR event will be from January 7th-9th. The riders are already in town and last night got the chance to watch the Knicks defeat the Spurs for only the second time in their past 10 meetings. 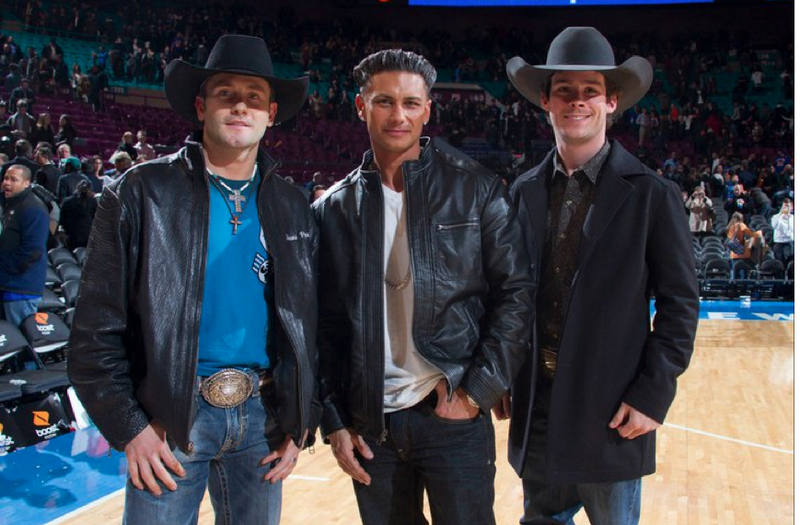 The professional bull riders even got a chance to hang out with DJ Pauly D who happened to be at last nights game as well. Maybe instead of beating up the best, Pauly D will start adding some country tunes to his playlist. You can see more photos of the PBR boys at the Knicks game last night on the MSG Facebook page.